« Maine Lighthouses – An Accessible Treasure! This week our Visit Maine Like A Mainer! 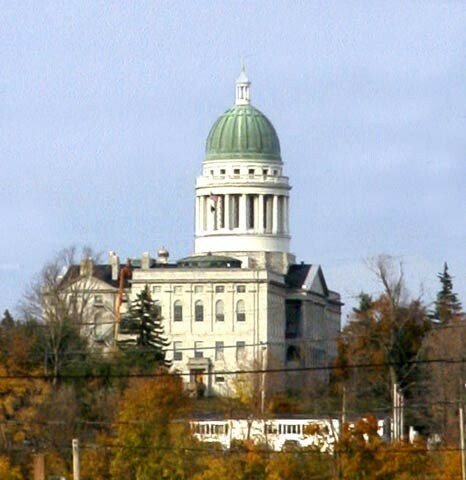 series travels to the Kennebec and Moose River Valleys region of this beautiful state. Extending from the state capitol in Augusta north through the river valleys to the Canadian border, the region is filled with opportunities for outdoor adventure. Drive the scenic byway of US-201 through tiny towns and villages along the river valleys, transporting you back in time to the days of the lumber barons, or even the Revolutionary War. Many of these sights are described in the region website, and are sure to provide for an enjoyable and interesting visit. From whitewater rafting in The Forks, to snowmobiling in Jackman, to fishing in the Kennebec River (near Moosehead Lake), there is something in every season to attract every visitor. Educational opportunities are plentiful at Colby College in Waterville, while the Shakespearean Theater of Maine is located in Monmouth. The fall foliage in this region is second to none. A nice collection of links to communities and activities in the region can be found on the region’s site. If you have suggestions of places you would like us to include in our “Visit Maine Like A Mainer” series, please feel free to post them in the comments, or to Tweet them to us.